Do you ever want to impress your guests when you are hosting a party? 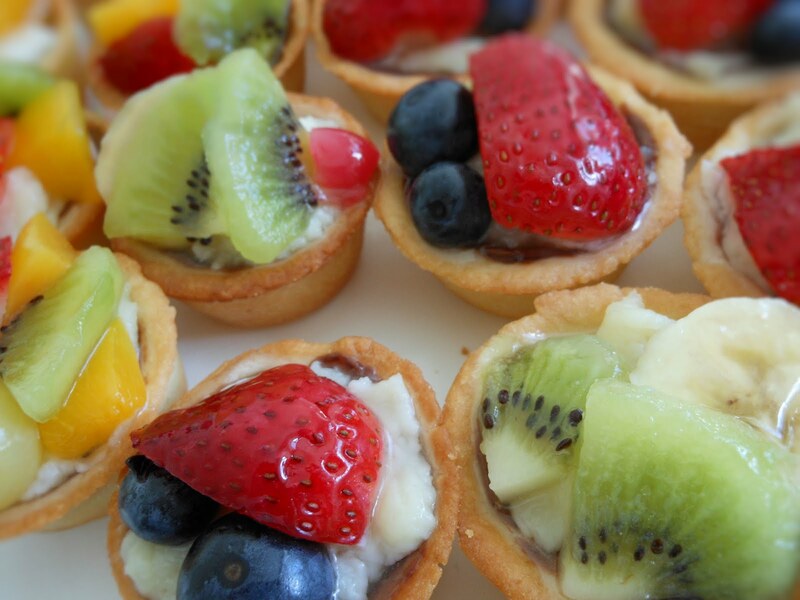 These mini fruit tarts will surely be the perfect treat for everyone. Not only will the colorful presentations brighten your table, but the absolute delicious taste of the tarts will also make your event enjoyable. You need 1 24-cup mini muffin pan or 2 12-cup mini muffin pans. 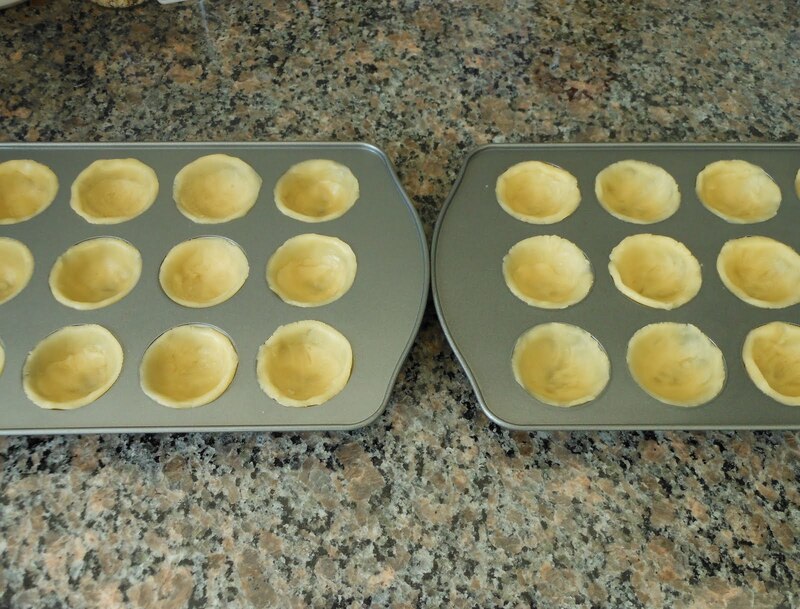 Make 24 - 28 tarts. For crust, preheat the oven to 350º F.
In a mixing bowl, beat the butter until creamy. Add sugar, egg and flour and continue to beat until it forms a soft dough. 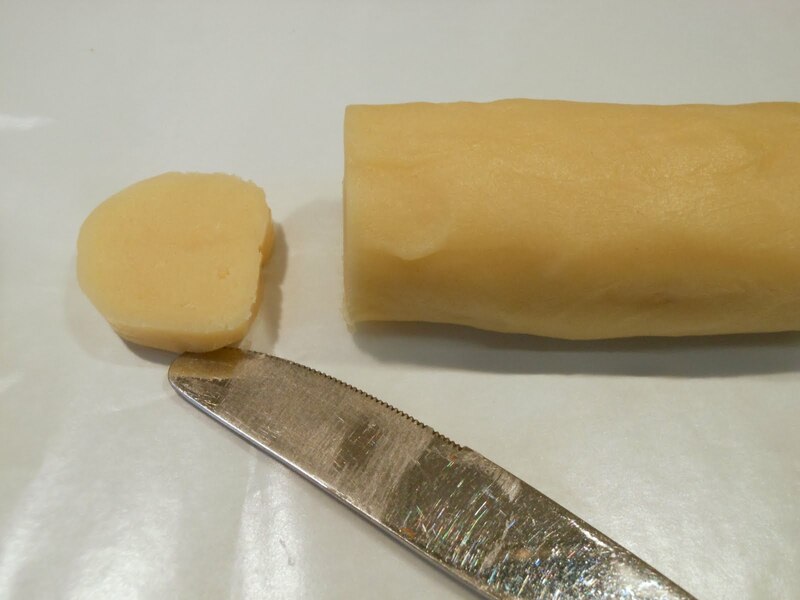 Wrap each dough with plastic and roll into 1 1/2" in diameter. Refrigerate until dough is slightly firm. Cut the dough to about 1/2" thickness and drop each small dough into a mini muffin pan. 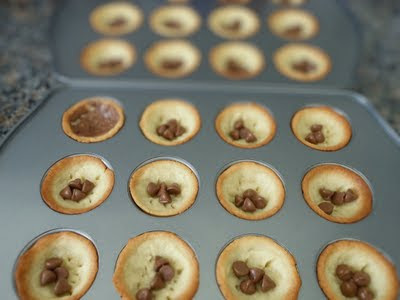 Use fingers to press the dough firmly into each muffin cup and poke the bottom a couple of times with a fork. Bake for 13 to 15 minutes or until brown. 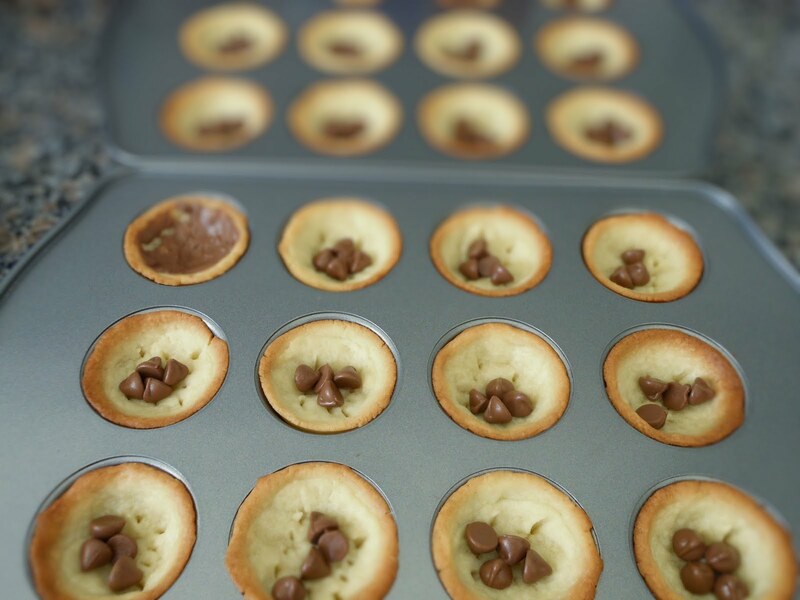 Remove from oven, drop 4 to 5 chocolate chips into each crust shell immediately while the shells are hot. 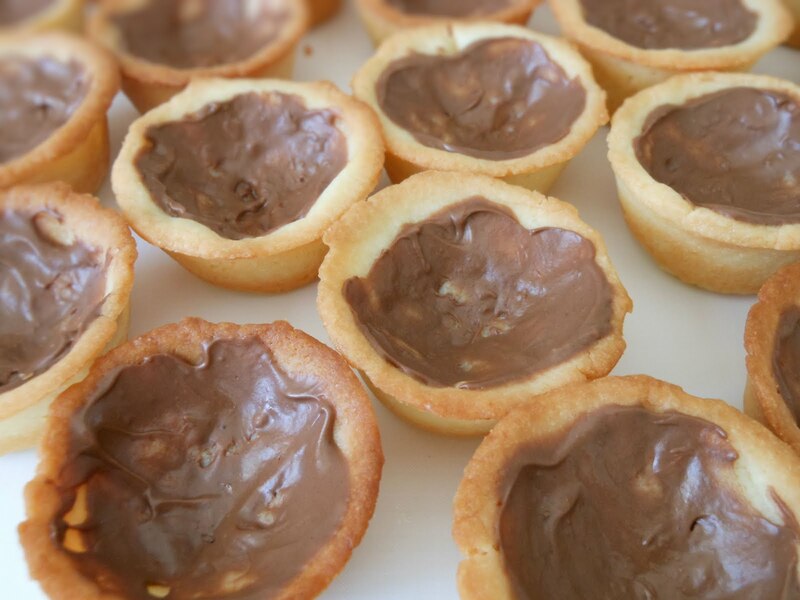 Use a small spoon to spread the melted chocolate all around the shells to make a coating. Beat egg, sugar and flour together until smooth. In a saucepan, heat cream to a boil over medium heat. Pour cream into egg mixture while beating at medium speed. Transfer mixture to saucepan. Heat over medium heat, use a quick motion to stir until custard is formed. Add vanilla and butter. Stir until mixed. Sprinkle gelatin over 1/3 cup water in a small saucepan. Add sugar and heat over medium heat. Remove from heat when gelatin is dissolved. Let cool for a little. Spoon custard into the crust shells. Decorate with fruits on top of custard. Spoon or brush glaze over fruits. Refrigerate for 1 to 2 hours before serving.